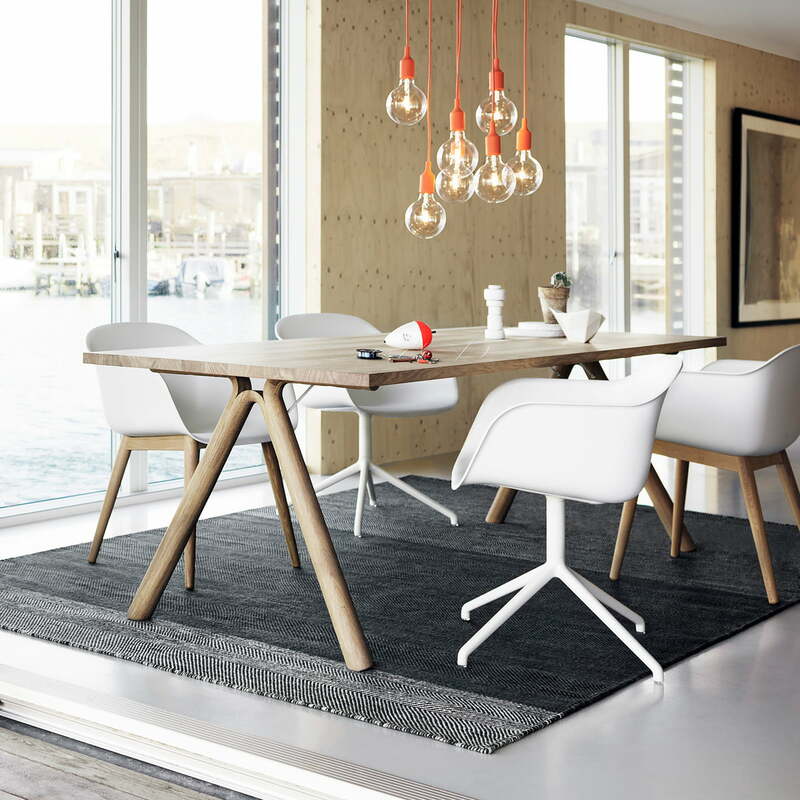 The Split Table by the Scandinavian manufacturer Muuto is a table with an organic expression. 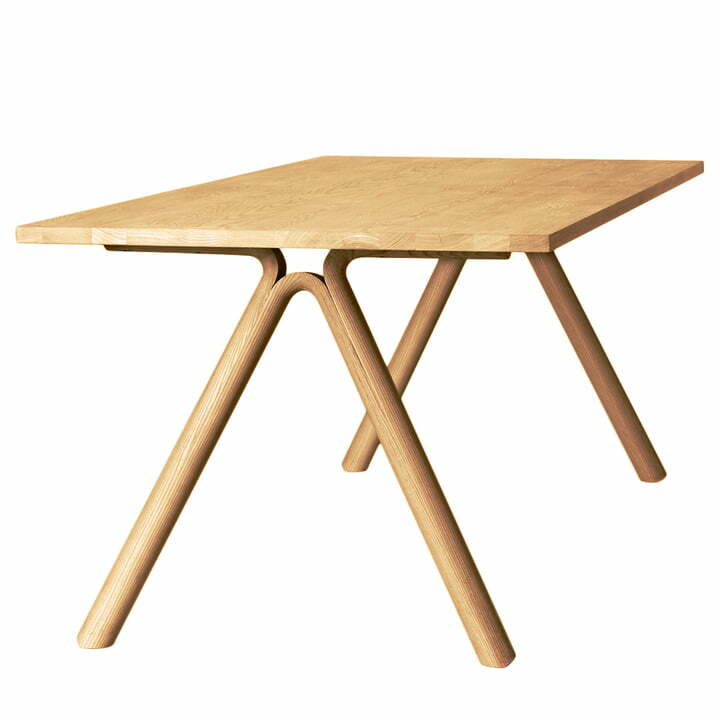 It is easy to handle difficult balance, not to look to heavy and to be physically weightless for the table by its structural resistance. 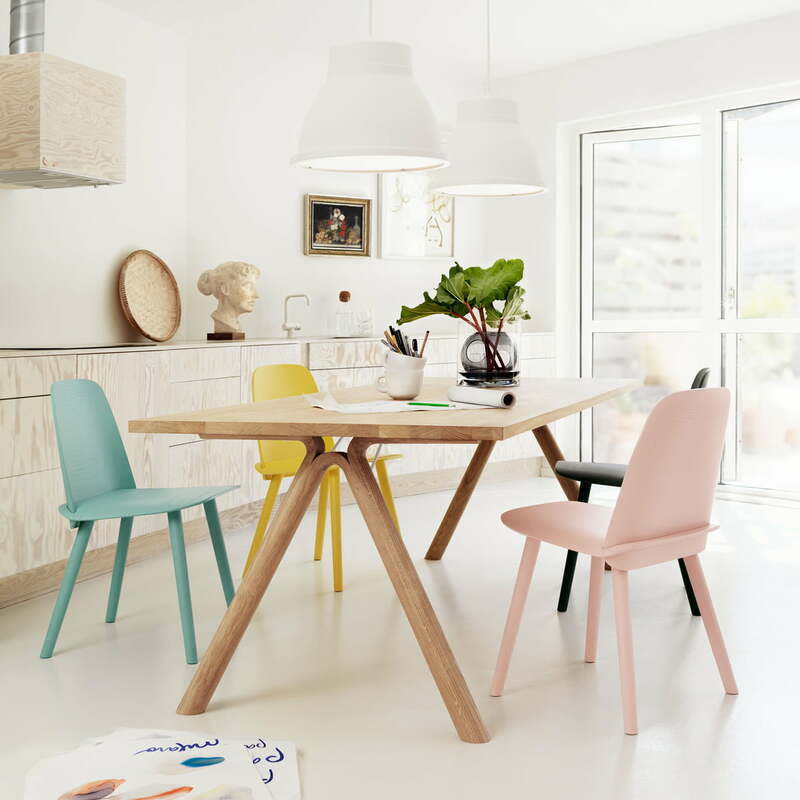 Staffan Holm equipped the feet with a remarkable detail: they are divided as well as bent and unify a strong character in their expression as well as their handicraft quality of an experienced furniture carpenter. 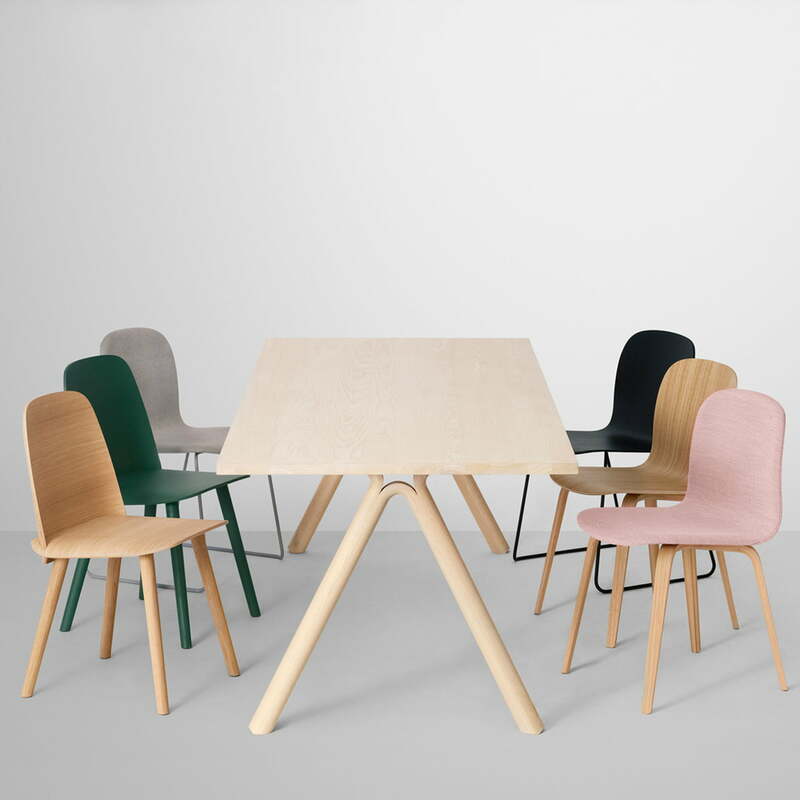 The Split Tables by Muuto, with the characteristic feet are available in three editions (natural oak, natural ash and black stained). 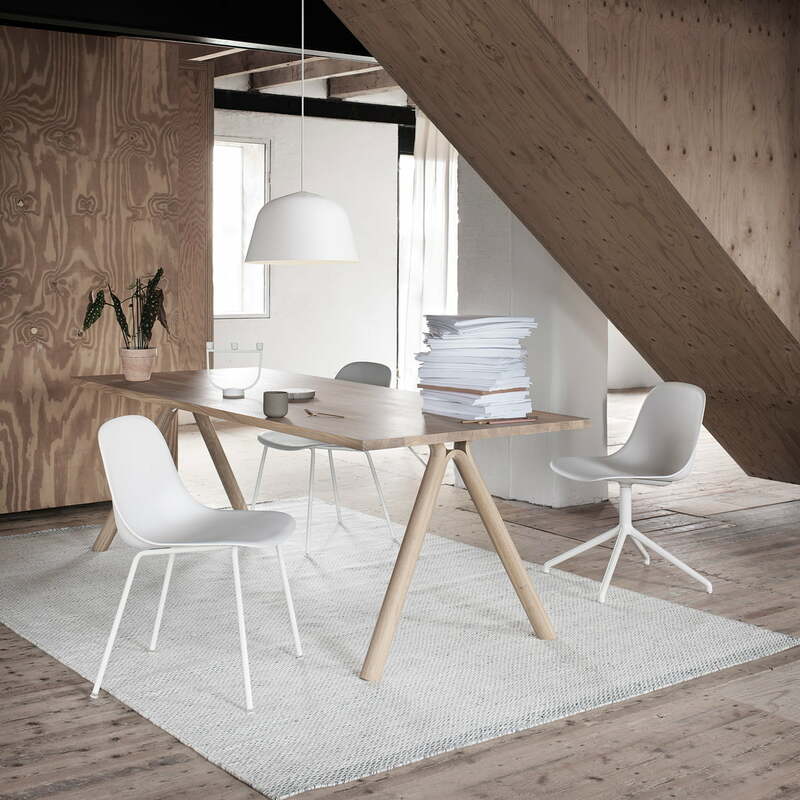 Der Split Table von Muuto in Kombination mit dem Fiber Chair in weiß ergeben ein schönes Design-Esszimmer. Die Gruppe der Leuchte E27 in rot rundet das schlichte Design ab.